Inequalities in incomes and wealth have increased in advanced countries, making our economies less dynamic, our societies more unjust and our political processes less democratic. As a result, reducing inequalities is now a major economic, social and political challenge. This book provides a concise yet comprehensive overview of the economics of inequality. Explaining Inequality will be of interest to students, researchers and practitioners concerned with inequality, economic and public policy and political economy. 'This book provides a timely and incisive study of inequality. While Piketty's opus was fundamental in providing evidence for the rising trend in inequality, this short book looks at different factors --technological, institutional and oligarchic -- that help us also explain why a simple wealth tax is not the (only) answer.' - Mariana Mazzucato, R.M. Phillips Professor in the Economics of Innovation, SPRU, University of Sussex, UK. 'The four engines of inequality identified in this excellent book--power of capital over labor, oligarchic capitalism, individualization, and the retreat from politics-provide a powerful framework for understanding inequality in our time, and for thinking through what can be done about it.' - Ravi Kanbur, T.H. Lee Professor of World Affairs, Charles H. Dyson School of Applied Economics and Management, Cornell University, USA. 'The causes and consequences of rising inequality in rich nations has been too narrowly treated even by progressives. There are only a few exceptions. 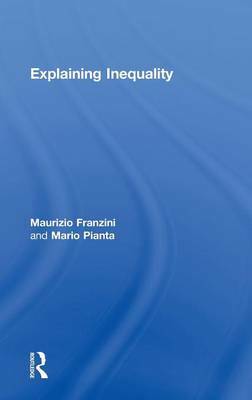 Now, Mario Pianta and Maurizio Franzini have profoundly broadened the issue in their important book. You may have thought you've read everything about the subject. but you haven't until you read this book. You've probably even missed the important issues.' - Jeff Madrick, Author and Senior Fellow at The Century Foundation, USA.